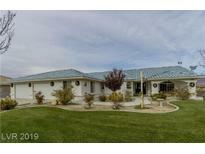 Below you can view all the homes for sale in the Cottonwoods At Hafen Ranch subdivision located in Pahrump Nevada. Listings in Cottonwoods At Hafen Ranch are updated daily from data we receive from the Las Vegas multiple listing service. To learn more about any of these homes or to receive custom notifications when a new property is listed for sale in Cottonwoods At Hafen Ranch, give us a call at 702-323-5946. Master Bath Includes Walk In Closet, Over Sized Tub And Walk In Shower. Don'T Miss Out! MLS#2089320. Scofield Realty Inc.. 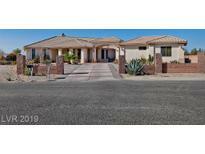 Extra large attached 2 car garage and Casita with 1 car garage attached. MLS#2083985. Classic Realty Group Inc. This home is ready to say honey I am home. MLS#2076930. Century 21 Gavish Real Estate. Single Story 3 Bedroom, 2 Bathroom, Large Lot Home In Pahrump With Open Floor Plan, 2 Car Garage, Rv Parking, Ceiling Fans, Large Heated And Air Conditioned Casita, 600 Sq Ft Covered Patio With Misters, R.O System, Amazing Lush Landscaping, Separate Laundry Room, His And Hers Sinks At Master Bath, Master Bedroom Access To Covered Patio/ Exterior Yard, Hardwood Floors, New Tile And Newer Carpet*see It Today* MLS#2057253. Keller Williams Market Place I. This Home Won'T Last Long ! MLS#2051379. Nevada Realty.